Extremely excited for Paul and his first book! Tolkien’s The Hobbit was given to me as a gift when I was 11, and it really opened the castle gates of fantasy to me. Suddenly, there was a whole world of swords, magic and fantastical creatures to meet. Immediately after I turned the last page, I took all the money I had saved in my Crayola bank, and biked down to the local bookstore. My goal was to buy everything else Tolkien had written. I had no idea I was getting the seminal fantasy series: The Lord of the Rings. From there, the elements that inspire my stories are varied and wondrous. Some may seem mundane, like conversations with friends and acquaintances—but everything, and I mean everything, can inform and inspire an author. One of the biggest for me is any world where dragons can make an appearance. I find that extremely compelling. They don’t have to show up, but the idea that they can? Please and thank you! I also like any world where a woman is as strong or stronger that most of the men around. Not necessarily physically strong, although that’s groovy too. Personally, I prefer a woman who can go toe-to-toe and sword-to-sword with anyone else. Obviously, my preferred genre is fantasy, but I’ll take urban fantasy, science fiction and even historic fiction off the shelves for those reasons. With that in mind, I’ve been inspired to write (hopefully) strong female characters for a couple of decades now. I didn’t set out to do so. There was no conscious effort to make my work specifically male or female. My very first, very immature story was about my group of friends in junior high/high school. Because I was, have been, and always will be interested in fantasy, it was in a fantasy setting. Everyone carried swords, everyone was heroic with their swords, and that was essentially that. It was a story meant for my friends, and I thought highly of all of them, regardless of their gender. My parents raised me to believe that everyone was deserving of equal treatment. At the same time, I recognize that women around the world are not treated equally. Portraying women as something other than a pretty damsel in distress adds to the conversation. That doesn’t mean I denigrate men to raise up women. That’s also the wrong message to send. HELL BECOMES HER is the follow up to my debut release TEARS OF HEAVEN and follows the further adventures of Del, a strong female protagonist, who faces demons, both real and inner. This time around, she gets to face some classic bad guys, while at the same time confronting what it means to be both a woman and a mother. Challenges that face any parent on a daily basis, even one that isn’t fighting supernatural forces. Finally, telling a good story well and hitting some epic high note moments is always inspiring. It’s hard to not to get carried away from the reality of, say, a sword fight or a gun battle, and into the unrealistic. Keeping the physics of actions and reactions on target is something I really strive for and enjoy. This is especially enjoyable when readers catch the effort that went into making a scene exciting, but still within the realm of the real. I have to say that my favorite is when a reader comes to me and says, “I can’t believe you killed this character. He was my favorite.” They really aren’t mad, but it means that I connected with them through that character, and I achieved a realism of life between their mind and the book with that character. That’s magic right there. RobRoy McCandless was born under a wandering star that led to a degree in Communication and English with a focus on creative writing. He’s the author of the urban fantasy TEARS OF HEAVEN winner of the 2014 Best Science Fiction and Fantasy Preditors & Editors Reader’s Poll and a 2015 EPIC eBook finalist and HELL BECOMES HER. His shorts have appeared in “In Shambles” (with Kevin J. Anderson) “Gears, Gadgets and Steam” and “Nine Heroes”. He continues to research and write historical and genre fiction, battle sprinklers, and play with his three boys. Yet it’s citizens ignored the yelp. The rivers ran red, dirt stained with blood. Every creature gasping for air in the flood. Precious little could be done to save humanity. Each citizen died with a desperate grasp on vanity. Safety collapsed in fractured pieces. Splintering hope in a returning Jesus. And yet they still held tight to their faith. Until silently they let it finally give way. We are not abandoned, we’re simply failing ourselves. Leaving cracking bibles to wither on the shelves. Ignoring the threats sent to our front doors. A black cloud arising taking people in scores. Defy the Rules and stand up for what is True. Don’t let the seething fear overcome you. Hand in hand with Humanity take your mark. Aim at the atrocity which threatens our Home. Every race and every color, so nobody stands alone. Welcome the weary to your warmly lit shore. Give the helpless the Christ they’re looking for. From desolate, darkened land these people have sailed. Be the Hope to our broken Humanity. Set aside this racial Vanity. For yours is the Light they need shining through. Remember this land wasn’t given just for you. Hey you, say you, Raven did you hear those sounds? Cackling, laughing, the Raven he said, it’s too late for that. Someone tell me what you think of that? Or the Raven’s gonna swallow you too. A radiant star blazed in the night sky, enchanting the galaxy with it’s glow. Constellations had never been more brilliant without it’s illumination. Like a knot drawing completion to the tapestry of space, it gleamed with pride. As years began to pass, surrounding stars became uncomfortable with the glowing orb. Secretly each neighboring star began to feel as though it’s light dimmed their own glory. Overtime, the star believed the words the others had spoken and slowly the constellation began to dim. Feeling out of place and alone the star began to dull darker still. It slowly grew larger in size, fading to red. Some believed it was in anger. Others said it was from old age. Finally, before another negative word could be said, the star burst in a violent explosion of light. One final clap of brilliance before it died away forever. In light of the attacks in Paris, France, the earthquake in Japan which set them on Tsunami watch, the attack in Beirut…. etc….. people are raising awareness ALL AROUND the globe, of the evils and tragedy. 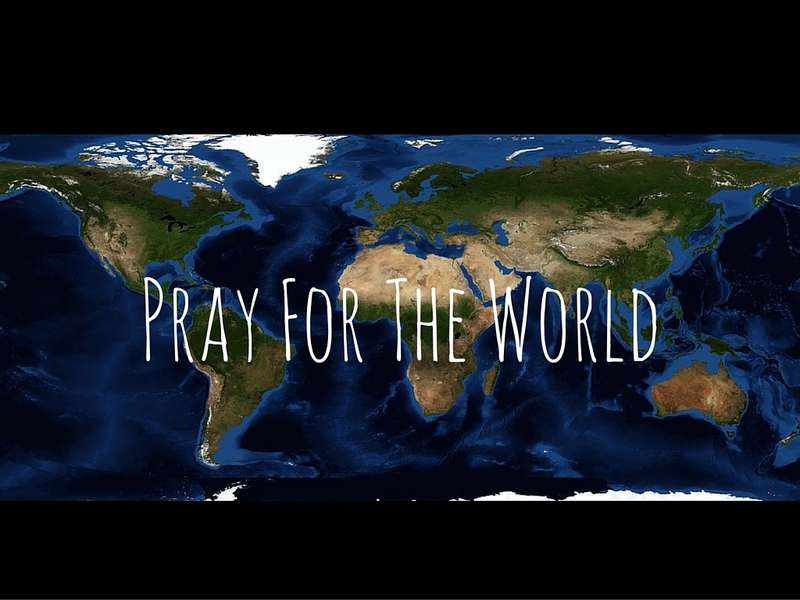 Social media is filling up with “Pray For The World”. 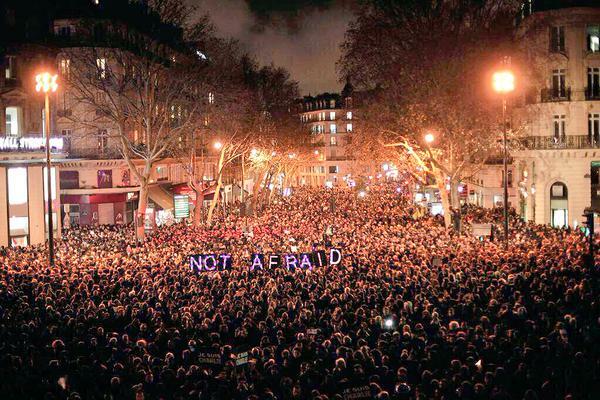 I’m going to lay out three reasons why the rest of the world needs to let FRANCE have their Moment of Silence. 1) They’re a Westernized country where the people live in Safety. 2) This was a STRATEGIC attack. 3) People. Died. ISIS killed 129 people in a country that doesn’t even touch the Middle East. So many people are complaining the middle east doesn’t show up in this picture. Well, sorry to break it to you, but the Middle East has been at war since I don’t even know when, and continues to tear itself to shreds. America has come in to try and help, GAVE Iraq back to their people and then the terrorist group known as IS showed up. America has responded COUNTLESS times to the Middle East. We have permanent Military presence in Kuwait. British troops have been to the middle east, French troops have been to the middle east. By now, average civilians are so sick and tired of sending troops to the Middle-East because we’ve just given up hope that their countries will EVER stop fighting with each other. Africa is not a country. It’s a continent. Countries in Africa have been facing turmoil for ages. In recent years, Activists like myself have been pouring in to the countries of Africa to provide clean drinking water, shoes, clothes, gifts, schools, transportation, and a NUMBER of other things including adopting African children. It is absolutely tragic what the governments in these countries do to their people. Earthquakes have hit numerous countries in the last twenty years. Teams of Christians, doctors, the American Red Cross and again other various Activists have poured into those countries to clean up, hand out supplies, take care of injuries, feed people, clothe people, adopt children who became orphans, rebuild houses, provide shelter. The Mexican hurricane ended up far less a tragedy than was expected. The Caribbean is affected every year by hurricanes. It’s true, the world stood by and did NOTHING when the Syrian government destroyed the country. And I am so sorry that happened. IS has been KILLING HUNDREDS OF PEOPLE relentlessly. The ONE country that could have stopped all of it when it started, was the United States of America. Instead of going over there, dropping a bomb and calling it done, our government let it spread like an infectious disease. They haven’t stopped since. Our World is a horrific place. Everywhere you turn, something new is happening. Right NOW is the time to be standing together and fighting against it. Right NOW is the time to Pray for these people and these countries. Right NOW is the time to stop evil at the doorsteps. They attacked a Western country! A place billions of people travel to every year. 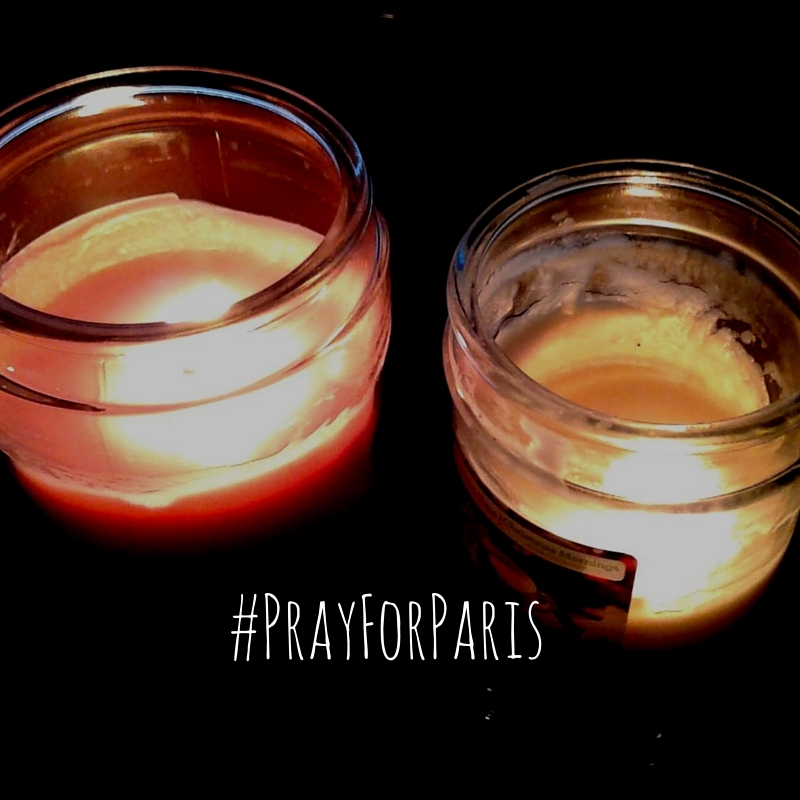 Cry for Paris, and mourn their loss. And then stand with Paris and tell them We. Are. Not. Afraid. Because it’s going to happen again. And when it does, the people of this world need to stand together against it, just as we have done with Paris. Just as the World did when 9/11 happened, and THOUSANDS of people died in a strategic event. Join together, Humanity. And pray. Pray together. Pray for Peace. 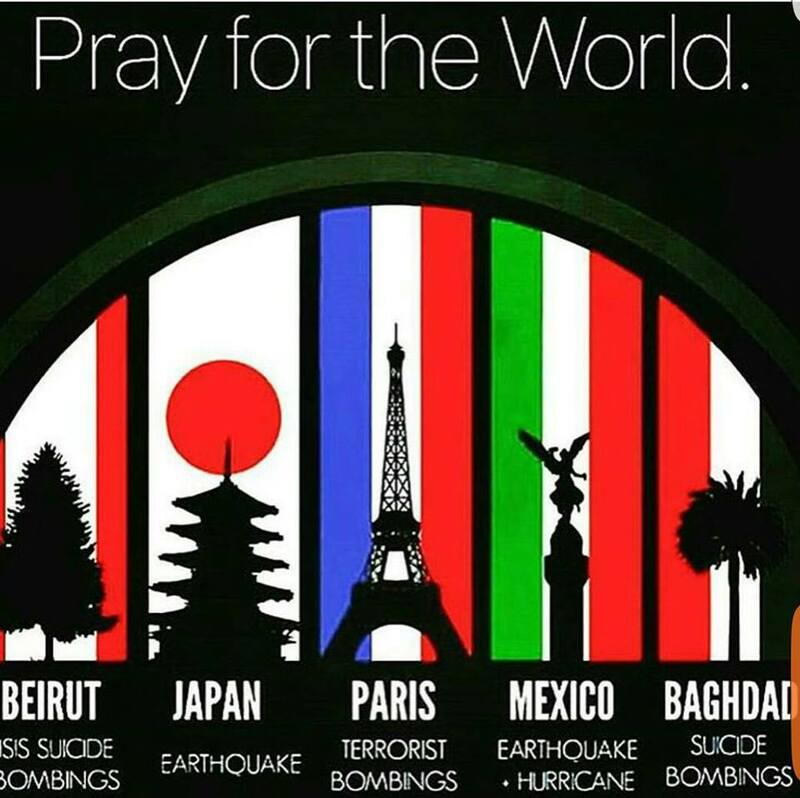 Pray for our World.